A good headlamp is critical for backpacking and hiking, yet a piece of gear that’s easily overlooked. I bought my first headlamp before walking Camino de Santiago, thinking I’d be waking up early to walk, and passing miles by when the sun went down. Well, neither happened, but the headlamp was incredibly useful while rummaging through my gear early in the morning in an albergue full of 100 people! Since then, I’ve had to buy a new headlamp, as I’ve been getting a lot of very early starts for hikes, and also need a solid reliable light source for overnight backing trips. 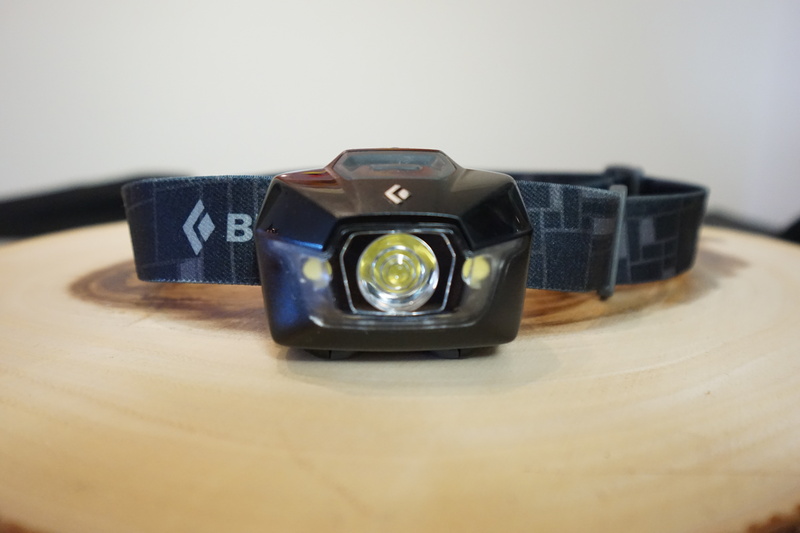 Last year, I did a little bit of shopping around and found the Black Diamond Storm Headlamp for a pretty good deal at REI. I’ve used this headlamp for a pretty long time now, and in many situations. The standard 160 lumen output is my light for primary use. What is great about this, is you can hold down the solo button to dim the light and then again to bring it back to 160 (range is 25 to 160 lumens). This is perfect around the campsite when you need light, but not too much. The red LEDs are perfect for preserving night vision while in a tent or star gazing. I use the red lights the most while doing night photography. You don’t have to cycle though all light modes to get the red lights, which is very nice. Just hold down the solo button for a few seconds while in off mode to get red LEDs, then repeat to bring back the white light. I haven’t used the strobe function on this light, other than for testing, but it’s nice to have should it be needed. The light requires 4 AAA batteries and is listed as lasting for 36 hours. I haven’t kept a log for power usage, but can say that my light lasts a very long time on 4 AAAs. On the side of the headlamp, there is a battery gauge to keep it from dying on you at an inopportune time. The headlamp also has a lock activated by the solo button to prevent being turned on accidentally. The battery cavity and storm protection are built into the same lock. This is a nice feature for those in wet and moist conditions. However, this IPX7 rating, which allows for a 1 meter immersion for 30 minutes, will cost you in weight. This headlamp doesn’t feel painfully heaving on your head, but at 3.9 oz, there are definitely lighter options on the market. This is the only major knock I have on this piece of gear, as the rest of it’s functionality is great. A minor complaint I have on this lamp is that the tilt adjustment has four positions that seem to have too much space in between. I’ve been walking on trails and wished I could have an adjustment in between the ones that are available. Not a huge problem though, as this can be quickly corrected for with head position, and light position on my hat. I’ve used this headlamp on many early morning hikes on single track, desert landscapes, thick fog in the Alps, and campgrounds all over. I’m a big fan and would recommend it if it fits your needs.